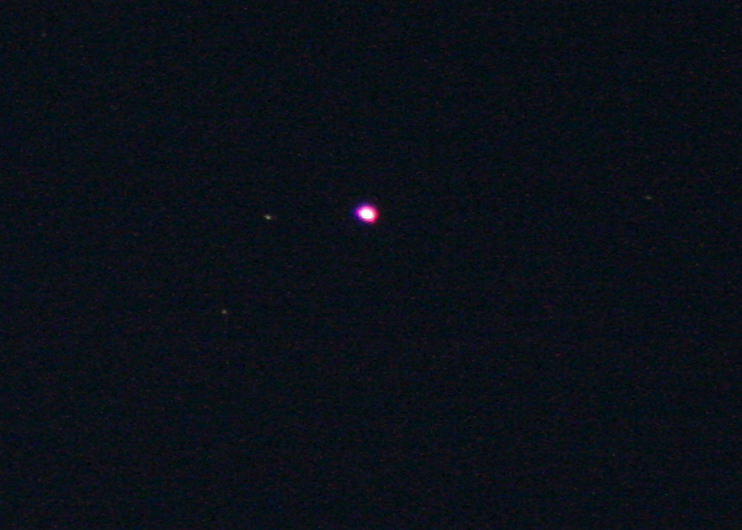 Tonight, just after sunset, Mars was visible in the west forming a triangle with Saturn and Spica. This picture came out blurry, which actually makes it easier to see the color difference between the objects. Mars is reddish, Saturn is yellow, and Spica is blue. 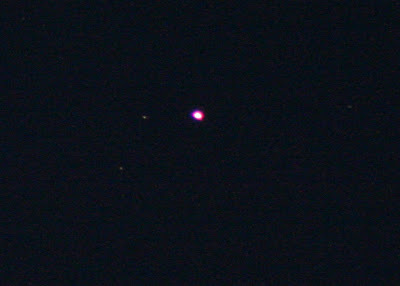 These are my first close-up shots of planets with the 300mm zoom lens. I think they came out a little blurry, meh. No, those aren't moons circling the planets, those are other stars in the background. And right now, screaming toward Mars at thousands of miles per hour, the Mars Science Laboratory mission with the Curiosity rover is on approach. I'll be tuning in tonight at 11:30pm for live coverage on Ustream up until the landing at 1:31am ET. 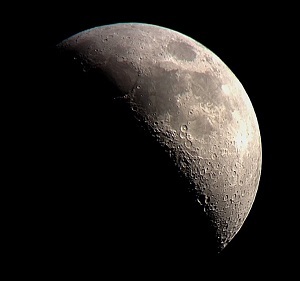 Unfortunately, I've heard that 2:30am ET is the earliest anyone will expect to hear news from Curiosity on the ground.